Do NOT just pay your traffic ticket! Are you aware that simply paying your traffic ticket means you are pleading guilty to the offence? Once you pay your traffic ticket thereby pleading guilty, the conviction will be on your driving records. Do not forget, if you have a conviction record, your auto insurance will be increased upon renewal. Remember, if you collect enough demerit points, you can lose your driver’s licence! If you collect enough demerit points it can result in your insurance premium 2-5 times increasing! If you collect enough demerit points you would be labeled as a “High Risk Driver” and could remain in this category for 3 years minimum and up to 6 years. Depending on the offence you have committed, number of convictions on your driver records, and demerit points you have collected, your insurance may not be renewed at all! At CPsolutions, we can represent you and fight your traffic ticket. Our ultimate goal is to eliminate your charges entirely. If we are not successful in it, we will negotiate with the prosecutor the lowest possible fine, do our best to lower your demerit points, protect your license from being suspended, and keep your insurance low. At CPsolutions, we never-ever go to court unprepared: for every traffic ticket case we order and review the Police Officer’s notes and evidence (disclosure) in advance to defend you the best possible way. Check the Services & Fees page of our website and you’ll have no doubts that you can afford it! To fight your traffic ticket, or not to fight? According to the circumstances involved and the information on your traffic ticket, consider all options you have and decide what to do: whether to pay your fine and get a conviction record; to try to lower your fine, pay it and get a conviction record; to fight your traffic ticket by yourself or hire CP Paralegal Services. Weigh the pros and cons of every option. Calculate the cost of fighting your traffic ticket and weigh it against the chances of getting it dismissed or reduced to a lower charge. First of all, think about your insurance! You have 15 days from the date of the offence to decide what strategy to choose to deal with your traffic ticket. If you want to know how conviction for traffic ticket can affect your insurance, go to No insurance page in the “Traffic Tickets” section of our website or visit our Auto Insurance and Traffic Ticket pages in “FAQ” section. 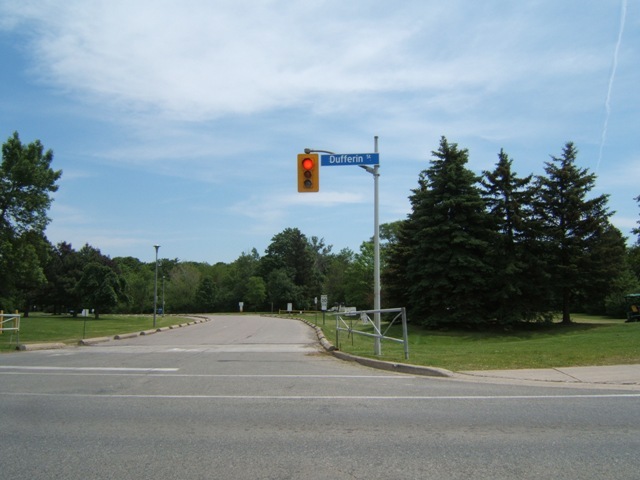 According to Ontario Highway Traffic Act Section 144(18), every driver approaching a traffic control signal showing a circular red indication, or red light and facing the indication shall stop his or her vehicle and shall not proceed until a green indication is shown. Drivers are usually charged with this traffic ticket for failing to stop at a red light when failing to come to a full stop at a red light. You have committed failing to stop at a stop sign offence when you have failed to come to a full stop at a stop sign. 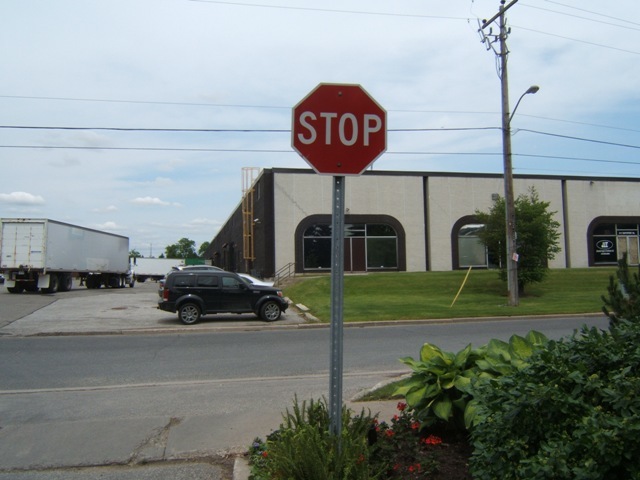 Failing to stop at a stop sign is one of the most common offences issued under the Highway Traffic Act. Whether or not the way is clear to proceed, if you do not come to a full and complete stop you are committing a traffic violation. This offence may seem like a minor offence however the penalties for failing to stop at a stop sign are pretty stiff and will affect your driving record for 3 years which will raise your insurance premiums. Effective March 31, 2006, Bill 169 also amended the Highway Traffic Act to make it an offence to disobey a traffic control person’s STOP and SLOW sign. A traffic control person is defined as an individual who directs traffic and works for or is under contract to, a road authority or a utility. Firefighters have also been given the authority to use the traffic control STOP and SLOW sign under Bill 169, therefore fines and penalties would also apply at an accident location where the signs are being used by firefighters. 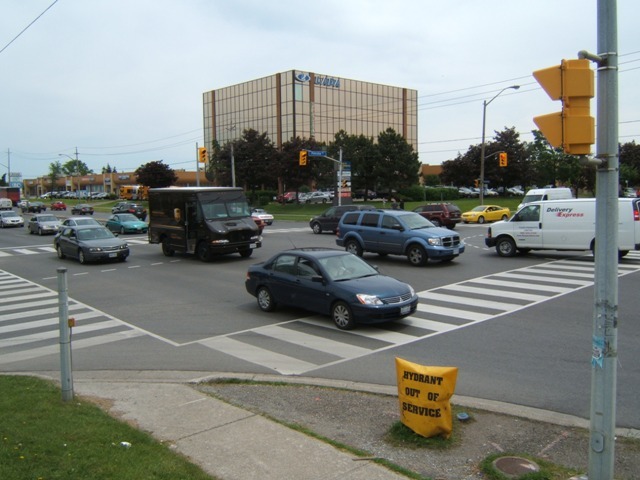 In some instances, a traffic control person not employed or under contract to a road authority or utility might be required to control traffic on a municipal roadway. In these cases written permission or a permit from the municipality with jurisdiction over the work area must be obtained. Failing to report and remain at the scene of a motor vehicle accident is one of the most serious offences under the Highway Traffic Act. According to the law, you are obligated to report an accident (whether you are directly or indirectly involved in it) that involve injuries or more than $1000 in property damage. You should be careful about estimating what $1000 of property damage is, because people tend to underestimate the extent of the damage. If you are involved in a motor vehicle accident, you are legally obliged to give your name, address and phone number as well as insurance information to people who ask for it. If you are convicted of failing to remain at the scene of a motor vehicle accident, your insurance could be affected for up to 3 years or more. Moreover, even one conviction for failing to remain at the scene could result in an increase of your insurance by thousands of dollars per year. Some insurance companies will not even insure you once you have been convicted of failing to remain at the scene. The traffic ticket for following too closely can be given to you when you follow another vehicle at a distance that is not reasonable and prudent. The exact definition of a reasonable and prudent distance will depend on the road conditions and the street or highway you were traveling on. Driving with a suspended licence could cost you your vehicle and will have serious implications for your insurance or you may not qualify for insurance at all. Driving without licence offence applies to anyone driving a motor vehicle without a valid driver’s licence. Even if you have been issued a driver’s licence and it expires and you do not renew it, you are still guilty of this offence. Conviction of driving without licence could significantly affect your insurance. Due to the number of accidents that are related to cell phone use while driving, the use of a cell phone while driving is illegal. Cellular phones can be an important safety aid for drivers, but using a cellular phone while driving takes a driver’s attention away from the task of driving. Distracted drivers are more likely to make mistakes or react too slowly. That’s why the rules for using hand-held electronic devices (e.g. cell phones, smart phones, GPS units) have changed. Drivers, who talk, text, type, dial or email using hand-held cell phones and other hand-held communications and entertainment devices face fines of up to $500. 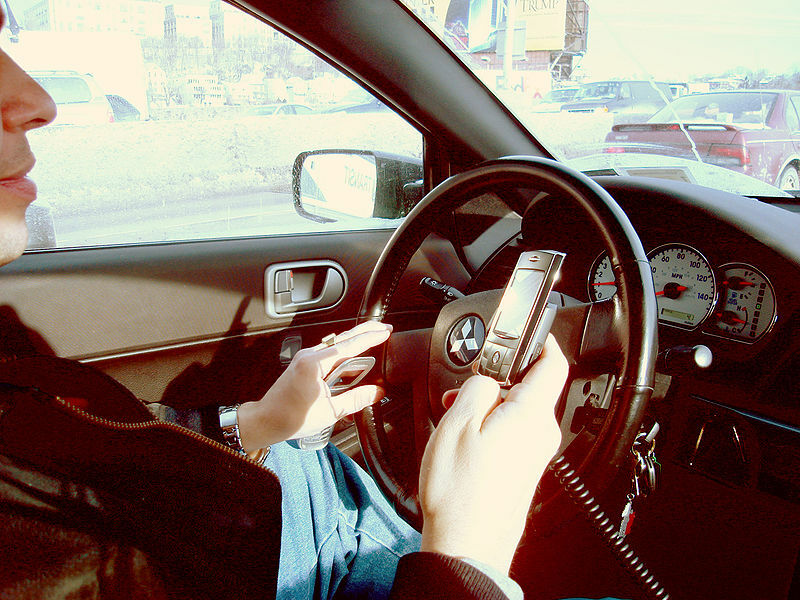 On February 1, 2010, police started issuing tickets to drivers who endanger others because of any distraction, including hand-held and hands-free devices. Drivers can settle out of court by paying a fine of $125, plus $25 victim fine surcharge and $5 court costs, for a total of $155. Drivers who receive a summons or who contest their ticket by going to court may face a fine of up to $500. There are no demerit points associated with an offence, and police do not confiscate any hand-held devices used by a driver caught breaking the law. Drivers, who endanger others because of distraction, including hand-held and hands-free devices, may also be charged with careless driving and will automatically receive 6 demerit points, fines up to $2,000 and/or a jail term of 6 months. In some cases, your licence may be suspended for up to two years. You may even be charged with dangerous driving (a criminal offence). Make it a habit to use your cell phone only when you are parked. If you are driving and your phone rings, let your cellular voice mail take the call and listen to the message later. If you must use a cell phone when driving, you must use it hands-free.